K’s open curriculum emphasizes excellent academics and students’ ownership of their educational experiences. Students develop the ability to think creatively and analytically and to bring extraordinary depth and passion to their particular fields of interest. Every K student will complete a major, demonstrate proficiency in a foreign language, take three Shared Passages Seminar courses, complete a Senior Individualized Project, and fulfill a health and wellness unit (think P.E.—for balance!). 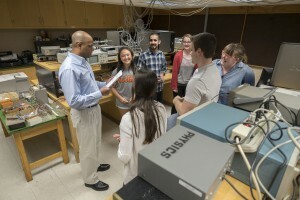 Kalamazoo College’s excellent academics include 31 programs in the liberal arts and sciences. Outside these few requirements, students design their own elective coursework to take full advantage of the liberal arts and sciences curriculum. Students do not officially declare their major until the winter of Sophomore year, providing extensive opportunities for exploration during the first year. Incoming first-year students have an advisor before they even set foot on campus. Students are required to meet with their academic adviser at least three times a year to guide their course selection and degree completion. 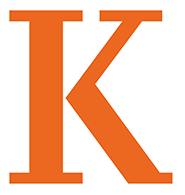 Kalamazoo College offers 30 majors designed to move from the broad to the specific through a sequence of core and elective courses. Upper-level major courses delve deeply into a specific topic, and students shape a particular emphasis within a major through their choice of upper-level courses. All majors programs build skills in written and oral expression, information literacy, critical thinking and analysis, creative problem-solving and independent scholarship. Minors and concentrations enable students to supplement a major with directed study of another realm of interest. Most departments offering a major also provide a minor. A minor typically includes a subset of what is required for a major; a concentration is a set of courses with a common focus drawn from several disciplines.